A Mt. Eden resident, Mrs. Bonnie McGaha, age 65, passed away Thursday April 11, 2019 in Signature Healthcare at Colonial in Bardstown. She was born May 11, 1953 in Louisville to the late John and Jeannette Monroe Armstrong. 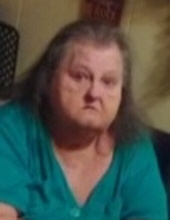 She was a former employee of Shelby Manor Nursing Home. Along with her parents, she was preceded in death by her husband, Hubert McGaha, a sister, Connie Shuffritt and a brother, John Armstrong. She is survived by 2 daughters, Ada McGaha (Salvador Martinez), Hope (Jason) Nation, both of Bloomfield, her son, Wilbert (Sandy) Armstrong of Mt. Eden, 9 grandchildren and 8 great grandchildren. The family followed Bonnie’s wishes of cremation. There will be no public services. The family requests that expressions of sympathy take the form of contribution to the American Diabetes Association. The Greenwell-Houghlin Funeral Home of Taylorsville is in charge of arrangements. To send flowers or a remembrance gift to the family of Bonnie McGaha, please visit our Tribute Store. "Email Address" would like to share the life celebration of Bonnie McGaha. Click on the "link" to go to share a favorite memory or leave a condolence message for the family.